018: Dani Klupenger, Nevada eyeing 31-0? Kyree Walker coming to Reno? Nevada basketball is finally coming home. After dramatic comeback wins over ASU (5:58) and Grand Canyon (12:20), the unbeaten Wolf Pack returns to Lawlor for the first time in a month to play South Dakota St (45:27). 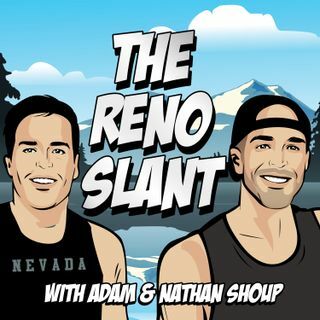 West Coast sports reporter Dani Klupenger shares her thoughts on Nevada hoops, which NFL players she can beat at H-O-R-S-E, and the advantages of being a female reporter (21:09). For slants, the Shoups talk five-star recruit Kyree Walker, slow starts, and Bowl Mania (1:01:27).